The Highlands Small Communities Housing Trust and our partners have used a variety of means to deliver hundreds of affordable homes across the Highlands since the charity was started in 1998. 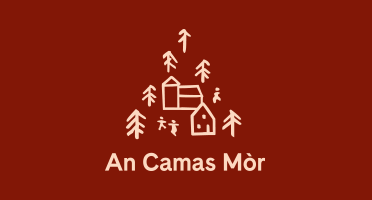 With the support of the local Community Council, we carried out a survey for An Camas Mòr to find out what local people would like from homes and what is truly affordable. We understand that open market homes can be beyond the means of local people. Therefore we provide low-cost home ownership models as way of broadening access to home purchase in the communities we serve. We use Rural Housing Burdens, a Title condition that protects the affordability of homes permanently with a pre-emption right and equity share. This allows us to provide a straightforward shared equity style mechanism, where the purchase price is supressed to make the home more affordable for the purchaser. We also use Rural Housing Burdens for our Rent to Buy homes. The tenant rents for five years at an affordable rate, then gets a cash-back sum to purchase the home at a price fixed when the home is completed, meaning the purchaser benefits from the lower-than-market price and is protected from any increase in the value of the home while they rent.